omid (mashhad, Iran) on 15 January 2019 in Animal & Insect and Portfolio. I am sure that is a happy smile on the husky's beautiful face. This photo makes you want to hold him. Ah, same ears and summits! A lovely dog ! excellent portrait ! Excellent image of this great Dog. Magnifique ! A wonderful portrait ! Lovely portrait of this beautiful Husky! Oh how handsome. I love this sweet face! :)) Like a wolf !!!!!!!!!!!!!!!!!!!!!!!!!!! Nice animal! It has a magnificent expression wrapped in a fantastic snowy environment. Best regards! He is gorgeous! Such a beautiful smile! A wonderful portrait! Beautiful portrait capture of this huskie!! A husky in the snow, of course he smiles ! A wonderful portrait of this happy, blue-eyed guy! He's in his element. Nice photo Omid. I wonder why dogs are not effected by snow blindness like humans are? @Jerry: Creation is full of wonders. 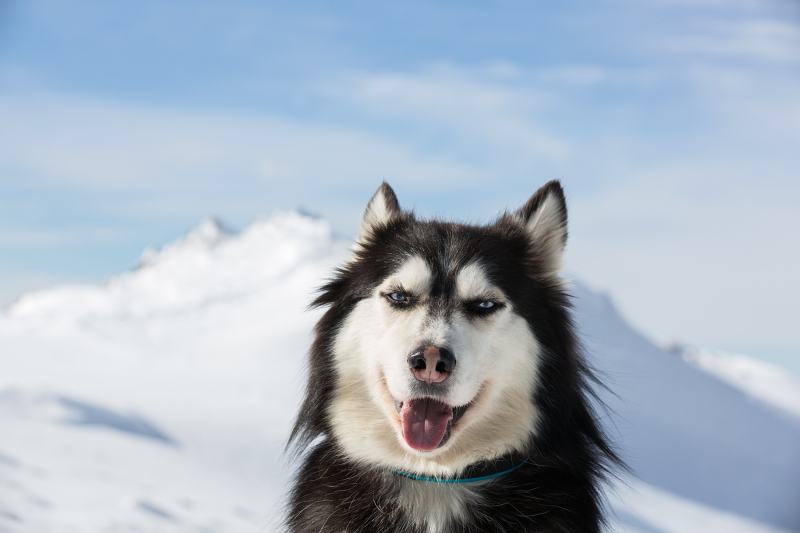 Husky dogs have Siberian origin, they love snow and cold.